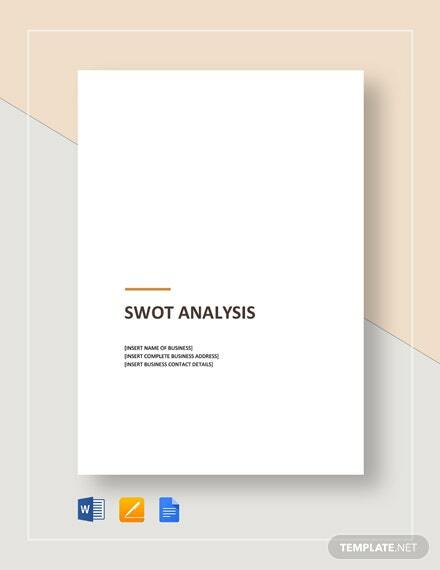 A SWOT analysis is an incredible tool in the hands of business owners which they can use to evaluate their strategies and policies. This analysis is applicable for both the small as well as large scale business industries. SWOT standards for strengths, weaknesses, opportunities, and threats related to a particular subject. 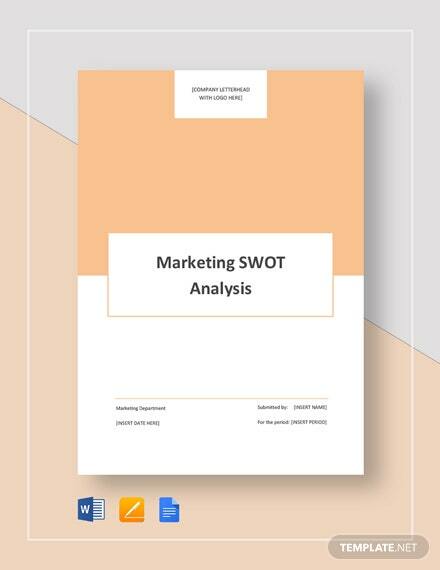 If you want to know about this test, then check below How to Do a SWOT Analysis [ 10+ Best Examples ]. A SWOT analysis is a scientific procedure. The success of analysis depends upon the effectiveness of recognising the internal and external factors related to your business. In SWOT analysis, strengths and weaknesses are internal factors whereas opportunities and threats are two external factors. It is not about making predictions, it’s simply about designing the perfect plan of action. You can create SWOT test by following steps. Mainly, the decision-making process includes the people from top management and senior level employees, but it doesn’t mean that you can’t take input from the other people. You can include different peoples in your analysis process. You can include employees from different departments in the process so that they can provide their valuable input. Even if possible try to incorporate your customers in the process that’s because SWOT analysis is a brainstorming process. Thus, having input from strangers who have no direct involvement with decision making is a great idea to get an unbiased opinion. Once you have selected the team for the analysis, next you should organize a brainstorming session. In the session, you should ask different questions related to the strengths, weaknesses, opportunities, and threats of your company. 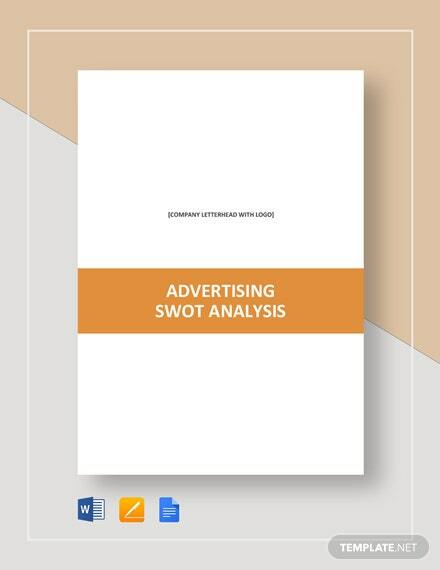 Every person will provide you different point and outlook on the topic, this procedure will help you in formulating the accurate SWOT analysis. What do we have over our competitors? What are our available resources? What makes our customers complain about most? What our competitors do better? What resources did we require to improve? Which opportunities we haven’t yet pursued? How will the current economy go to impact our business? Which new opportunities should we try? Which other resources that we need to acquire? Who are our current competitors? Are government regulations changing in a bad way? Once you have asked all the concerned questions from your team, the next step is to start finding the additional explanation required to create solid analysis. You should ask your team to select the top three items for each category. This way a pattern will form where you should focus more. Take your brainstorming session list and start to narrow down it in such a way that list will fit on a single page. The list will be reduced on the grounds of two rules; the power of the factor and how factor will occur. For every item present on your final list, evaluate a strategy to explore every possible advantages and opportunity. The initial strategies need not be complicated or robust as you can later expand them. For the moment, just create a broad plan of action. Also, try to use different factors in a balanced amount to draw solid analysis. Such as the evolution of strengths helps in improving your weaknesses. 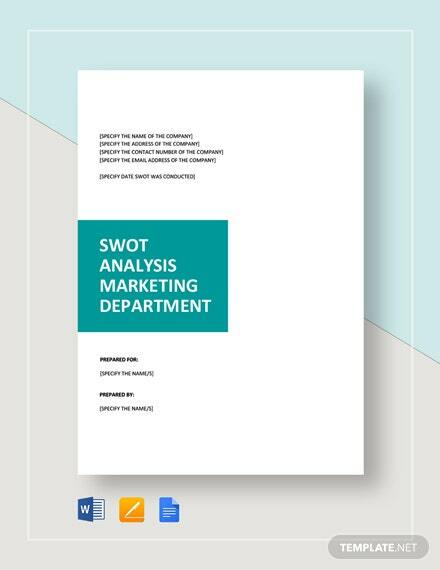 This SWOT analysis template is useful for all types of businesses. It is a standard template to formulate business strategies. It is a well-written template which can be easily downloaded and modified to suit your business requirements. You can create an effective analysis using this template. 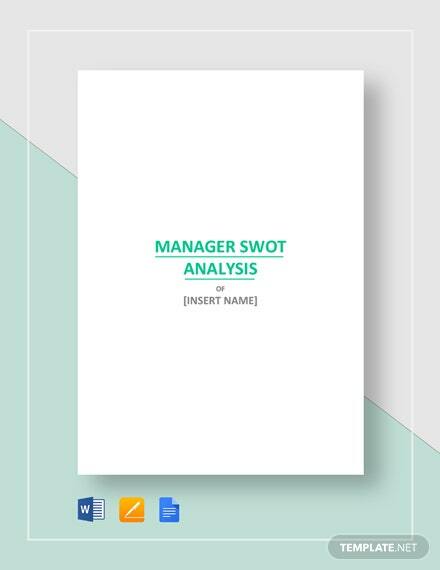 With this simple analysis template, you can create one professional looking SWOT test easily. You can use a simple and comprehensive approach when you download this meticulous template. By making small changes in your content, you can print template as well. For advertising agencies, it is a good template to analyze their strengths, weaknesses, opportunities, and threats. It is ready to install and edit the template. 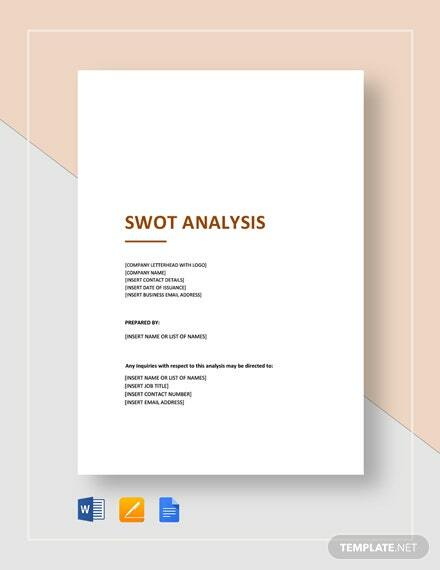 It is a professionally designed SWOT analysis template to recognize different factors related to a business. This template will help you in planning and strategies formation. 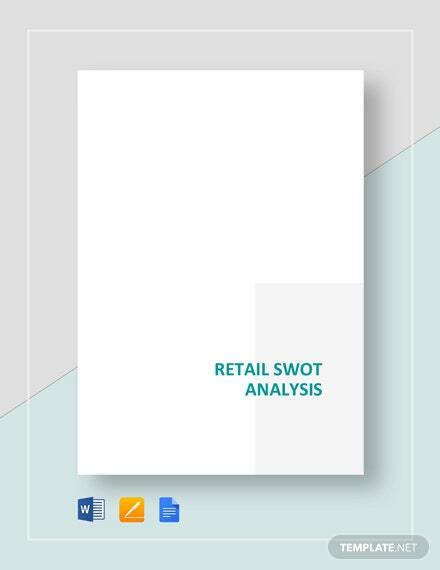 It is a perfect SWOT analysis template for a retail business to understand different internal and external factors affecting their business. It is a well-designed template which can be effortlessly modified as per your requirements after downloading it online. You can create more professional business strategies with the help of this template. 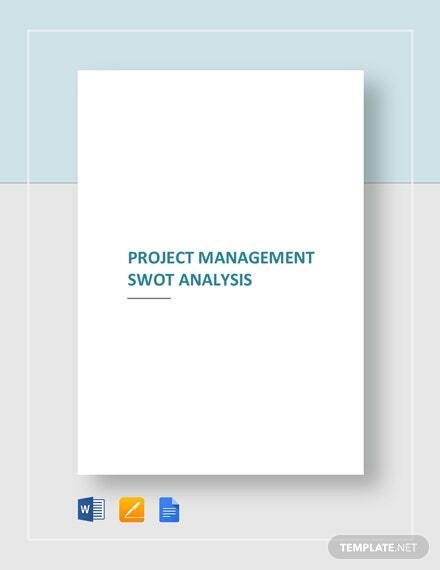 To effectively manage your projects, you have to evaluate it on the SWOT test. You can organize a project with the assistance of this project management template. This template allows you to organize data systematically and efficiently. You can easily work on this template on your preferred software in the file format of your choice. Every company needs to create a marketing strategy to increase its revenue. This template will help businesses to create solid marketing campaigns after analyzing all the internal and external factors. You can download and edit this template without any hassle to improve your marketing strategies. If you want to check the strengths and weaknesses of your manager, then you should use this template. This analysis can be used by individuals to improve their managerial skills for better opportunities. It is ready to use a template which can be modified as well. To elevate your professional growth download this template instantly. 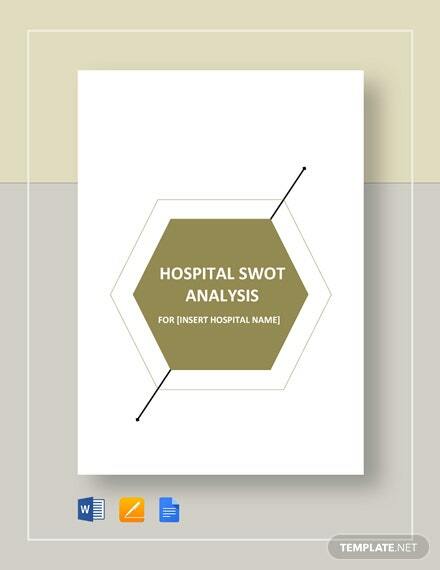 To understand the strengths, weaknesses, opportunities, and threats related to hospitals use this template. It is specially designed to offer you a clear picture of what hospitals have and how they can perform better. To design your dynamic marketing campaign, simply download this fully customizable template. This template is loaded with top-notch marketing professional special effects and catchy content. You can make minor adjustments in the content before printing it. If you are working with the Human Resource department, then this template will help you a lot. 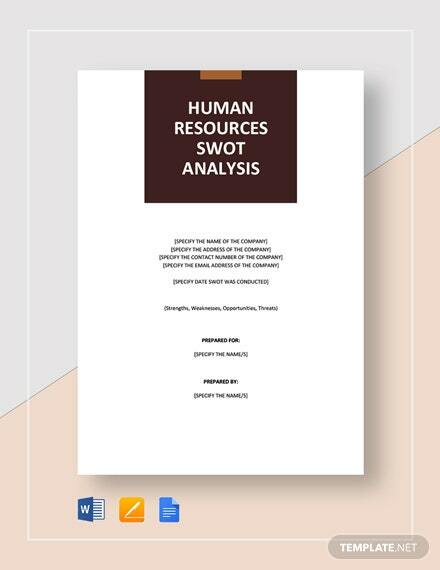 It is a fully equipped HR SWOT analysis template with the rich content and graphics which can be easily altered. Just download it analyze your HR department in a better way.